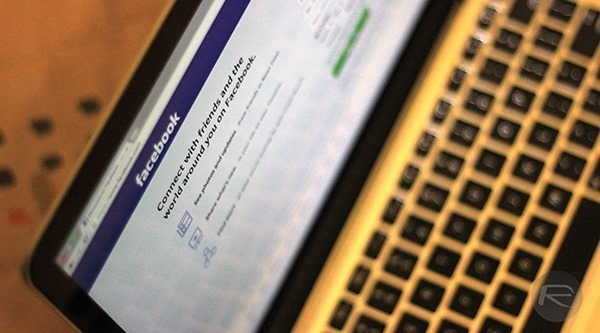 Here’s how you can save Facebook posts so you can access and read them later. More details on how to do so can be found right here. Apparently, users can save all interesting bits they come across on Facebook as a bunch of bookmarks in their account to access later. Here’s how you can do that. Step 1: Once you have your eyes set on a post you want to save for later, simply click the drop down menu icon on the top right corner of the post. Step 2: You should now see an option called, “Save (title of content)”. Click that to save the post. 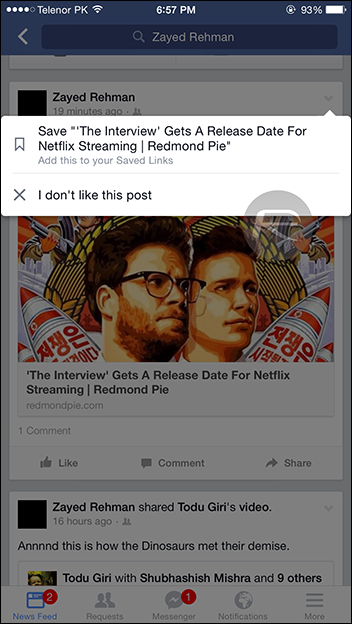 If you’re browsing Facebook on your smartphone, the same method and steps apply. Once saved, you’re obviously wondering where the post went. Step 1: Head over to your Facebook homepage. 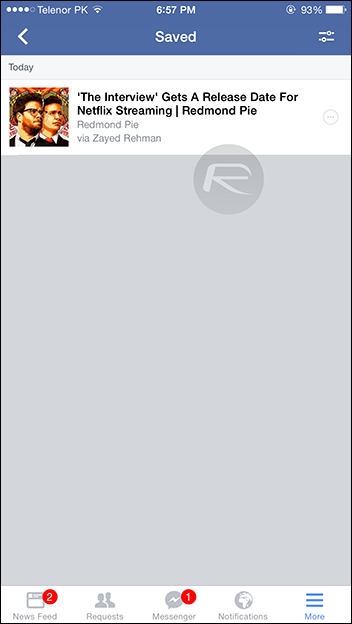 Step 2: Once there, you should see the ‘Saved’ tab under the News Feed heading at the top left side of the screen. 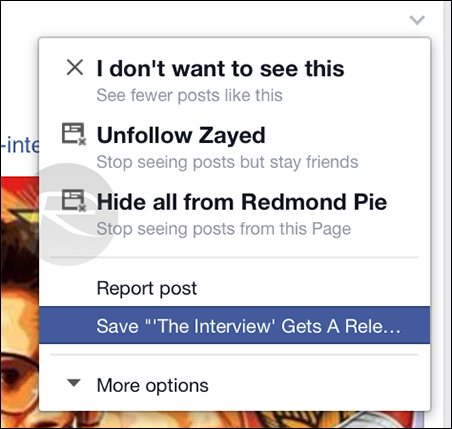 Click the Saved tab, which will bring up a list of posts that you have saved for later. These posts can be filtered as well, based on videos, places, music, books, links, and more. 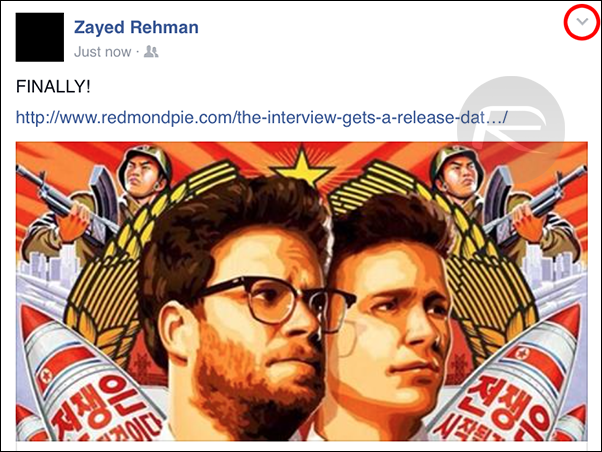 Step 3: Click the post title to access it, as you would have while browsing through your News Feed. 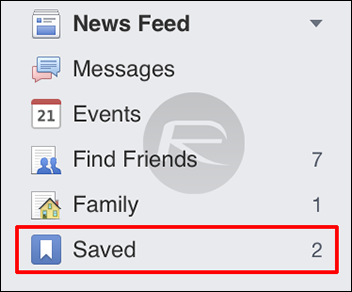 Another way of accessing your saved posts is via the www.facebook.com/saved URL. For even quicker access to these posts, you can bookmark the URL or add it to the speed-dial on your browser. To access the saved items from your smartphone, simply tap the ‘More’ button on the Facebook app or mobile site to reveal a menu, housing the ‘Saved’ tab. Tap it once to access the posts. Hovering the mouse over a post will reveal an ‘X’ button, click on it and the post will be sent to the ‘Archive’ page. However, to delete something for good, head over to the Archive page and hit the post’s menu button (three dots). You will find the ‘Delete’ button here. If you’re using a smartphone, simply click the ‘-‘ button next to the saved post and then tap on Archive. Tap on the button on the top right hand-side of the same screen, then tap on Archive, and from here you can delete the post for good.